When the aliens from The Darkest Hour attack our American heroes stranded in Moscow, they cascade in on a ball of lightning whips and pure energy. At least that's what it looks like — but what are the rules for surviving this alien attack? 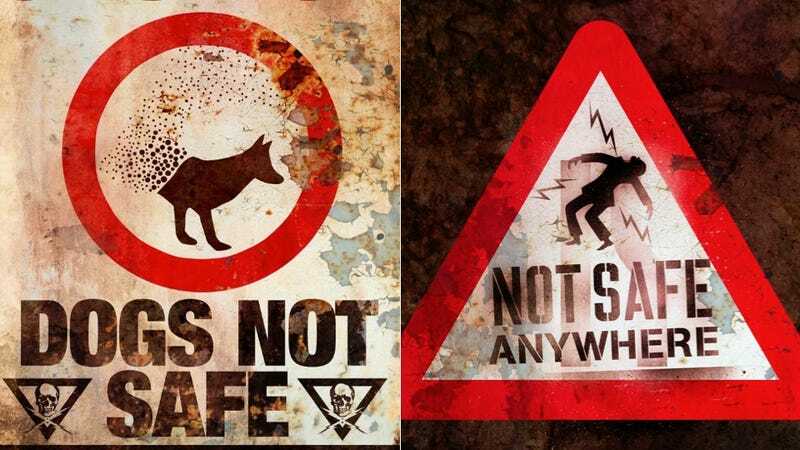 We've got your first exclusive look at a collection of warning signs from The Darkest Hour that alert the surviving human population of how to deal with these energy-based monsters. Check out all of them below — plus an exclusive look at a new TV spot, showing some excellent electric alien on human carnage. Chris Gorak (Right At Your Door) promised us all at Comic Con that his electric aliens would be different from all the bug-faced space invaders we've seen in the past. And now here's an exclusive look at the aliens' electric death-spin, in a brand new TV spot. Spin, burnt human flesh, spin! The Darkest Hour will hit theaters on December 25th — the perfect accompaniment to your roast goose.